Joan is available for teaching several different craft workshops. She has taught and worked with young adults with learning disabilities for over 5yrs, and enjoys sharing and encouraging the gift of creativity in others. 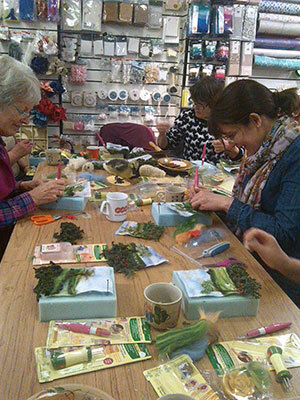 Whether it be needle felting beginners &apos;make a rose&apos;, taster sessions or advanced, there is usually something for everyone. Group sizes range from 4-15 depending on the class. 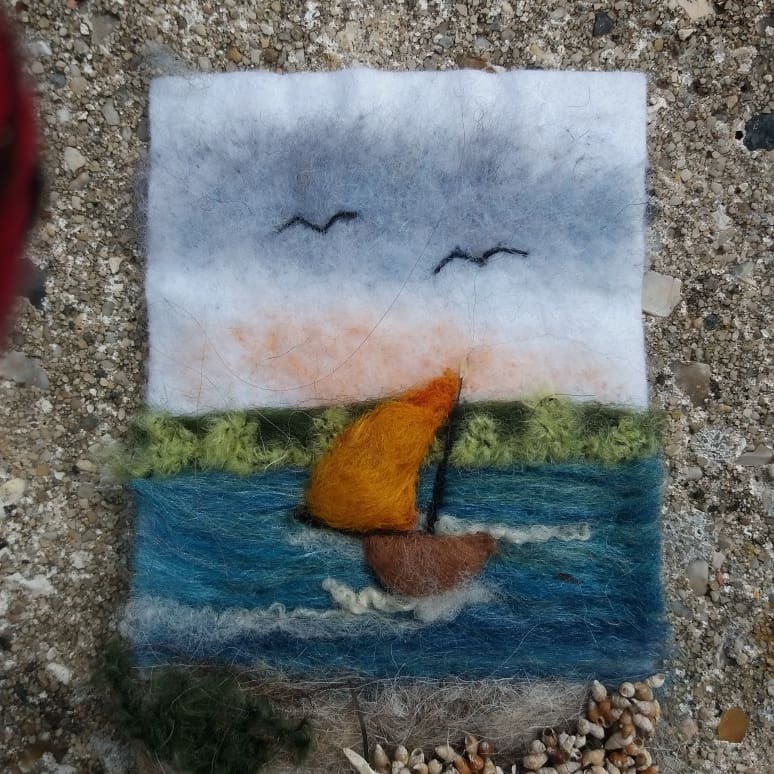 If you have a group of you and a venue, why not get Joan to come to you, or make a day of it and come to Exmouth to enjoy a crafting experience, and have a wander round the town? There are no limits to learning a new hobby, so have a look at what's on offer throughout the next few months, and do get in touch if you can't see what you need. Joan is also an associate of Bicton College School of Fibrecraft, and as such gives needle felting workshops as an optional extra to the fibrecraft curriculum as and when the need arises. Example from a Beginners Landscape workshop. Example from a Beginners Seascape workshop. Example from a Beginners 3D Ladybird workshop.